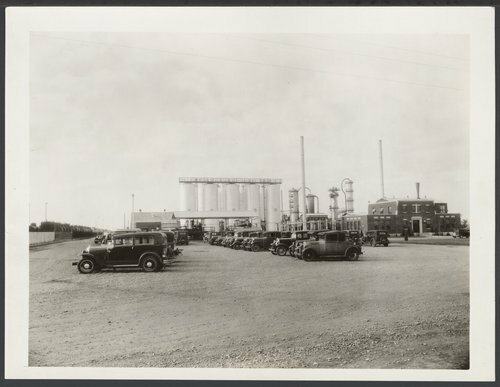 This photograph shows a view of the Globe Oil & Refining Company in McPherson, Kansas. The facility located southwest of McPherson was built in five months at a cost of one million dollars. The National Cooperative Refinery Association acquired the company in 1943.